It’s time to start thinking about your vegetable gardens and lawns if you haven’t already done so. Hopefully potatoes, onions and cold tolerant vegetables (cabbage, broccoli, cauliflower, beets, carrots) are already planted and doing well. Pre-emerge treatment for weeds and grass burs in your yards should have been completed. Start planning for fertilizer for your yard now. Consider using a straight nitrogen fertilizer (21-0-0) unless a soil test for your lawn determines the need for other nutrients. After you have mowed the grass twice this spring, apply fertilizer. This indicates that the grass is actively growing and ready to use the fertilizer. 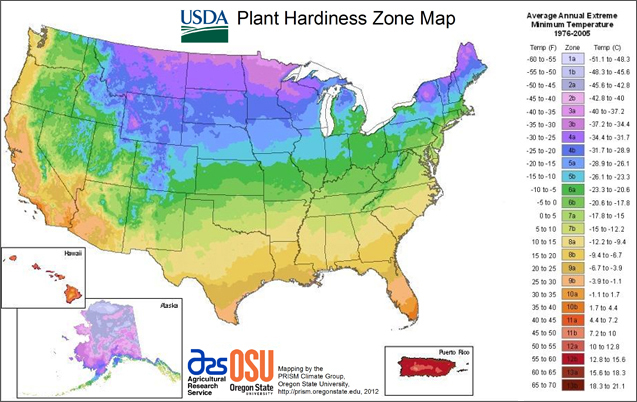 “Last and First Freeze Date” charts as well as USDA Hardiness zone maps are very useful in determining which plants are best suited for particular areas. You find them more information here. If you have questions about specific varieties for your garden or yard and their availability and adaptability, check with your local extension agent or a nursery professional, Master Gardener, or your neighbors who always have that pretty garden or yard! Happy Planting until next time. This entry was posted on Monday, February 16th, 2015 at 4:02 pm	and is filed under Paul's Garden Corner. You can follow any responses to this entry through the RSS 2.0 feed. Both comments and pings are currently closed.